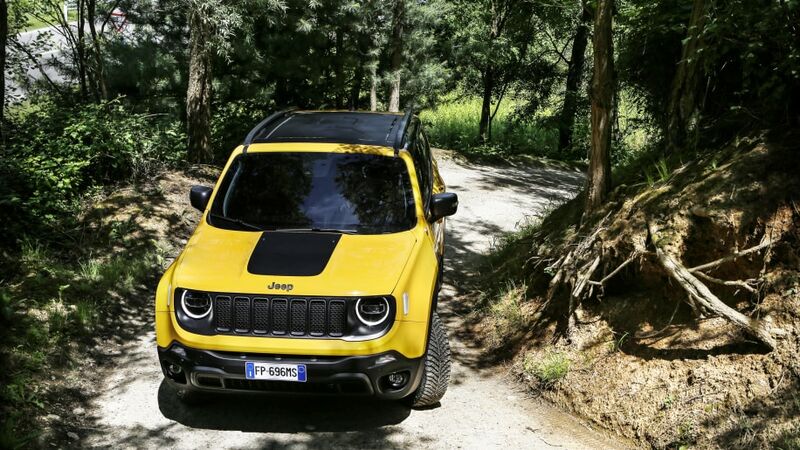 A few weeks back, we got our first glimpse of the refreshed 2019 Jeep Renegade. The Italian-built compact crossover is currently the smallest model in Jeep's lineup. Details were scarce, but we now have some new info on the European-spec model as well as a whole batch of photos of both the Renegade Limited and Renegade Trailhawk. Visually, both the Limited and Trailhawk models get revised front fascias with dark LED and Xenon lighting that mimics the new Jeep Wrangler JL. The Limited's bumper includes more body-color panels with new turn signals, fog lights and a lower air intake. Outside of the new lighting, the only real change to the front of the Trailhawk is the lack of a bright red front tow hook. In the rear, both models get new taillights, though the bumpers appear to be the same. The Renegade Limited now comes with 19-inch wheels. The Renegade now has new gasoline and diesel engines, though it's unclear which — if any — will make it to the U.S. market. There's a 1.0-liter turbo inline-three that makes 120 horsepower, a 1.3-liter turbo inline-four that makes either 150 or 180 horsepower. That makes it as powerful as the 2.4-liter naturally-aspirated inline-four that's currently available. The 1.6-liter and 2.0-liter turbo diesel engines — not available in the U.S. — both get updated European emissions equipment. There are three transmissions: a six-speed manual, a six-speed dry dual-clutch and a nine-speed auto. 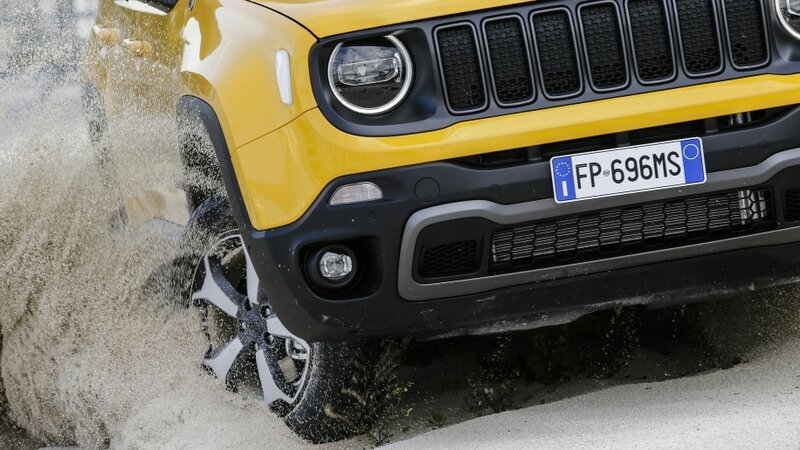 The Renegade is still available with both front- and four-wheel drive. There are two four-wheel drive systems, with one slightly more sophisticated system reserved for the Trailhawk. Other carryovers include the removable My Sky roof panels and most of the interior. 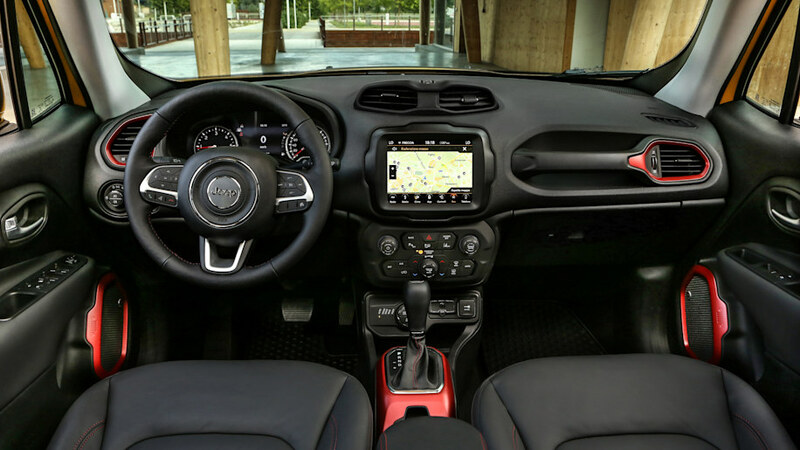 The Renegade also gets the latest version of FCA's UConnect infotainment system that is compatible with Apple CarPlay and Android Auto. Pricing hasn't been announced, but look for U.S.-specific details sometime later this summer.